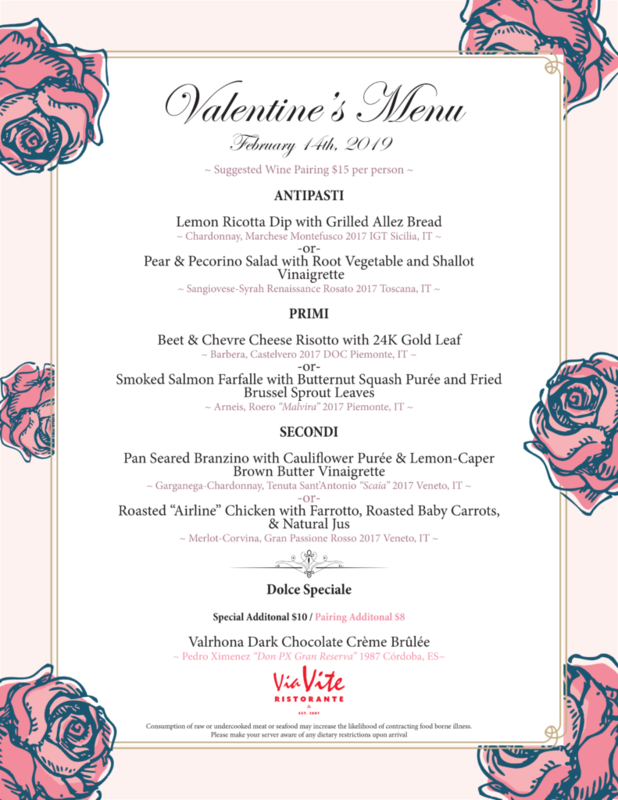 Join us for Dinner on Valentine's Day! We will be featuring a custom 3-course pre-fixed dinner menu created by Chef Cristian and culinary team, accompanied with optional wine pairings for each course. Limited seating available. $50/per guest. A pre-fixed menu will be offered from 4pm-10pm. Our regular menu will not be available for Dinner on Valentine’s Day. $40/per person fee charged if reservation is canceled less than 48 hours from reservation time.